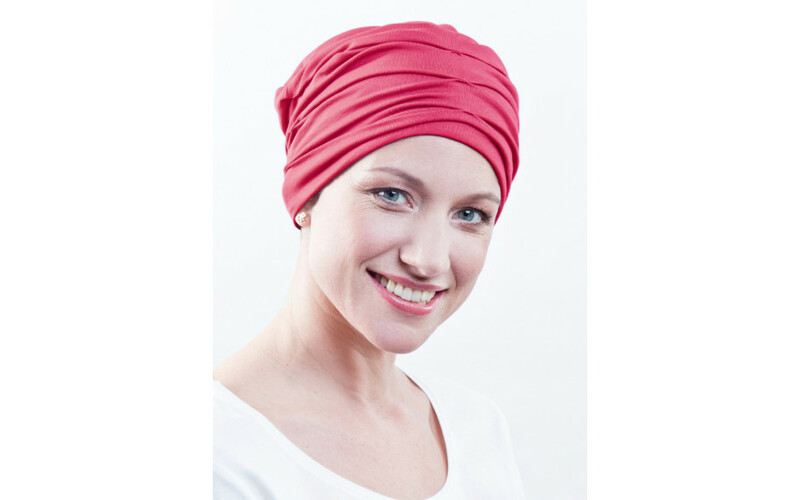 A fuchsia chemo hat adds a bold dash of colour to your wardrobe. Looking for a statement piece to accessorize your outfit during chemotherapy? Want to brighten up a dreary day? Or do you just feel like a lot of colour when facing hairloss? 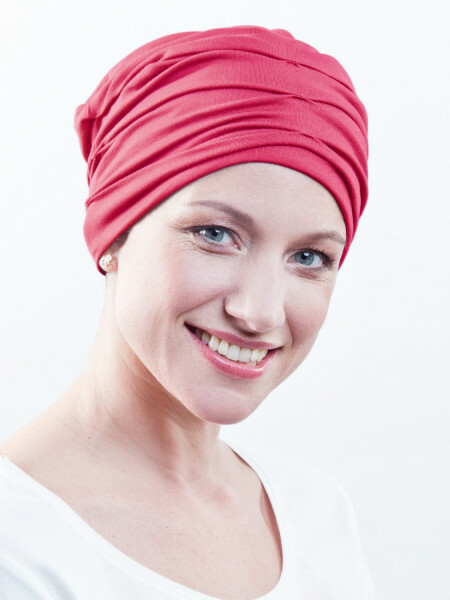 Then this turban cancer is sure to be your best friend.